Tans cut his teeth as a player at Tooting and when injury cut short a fine playing career it was back home for his first managerial appointment. Also appointed from within Simpson made an encouraging start, but a run of twelve without a win only ended on the final day of the season. Promoted from assistant to Forzoni as player/manager, Jamie added steel to the side, lifting them from the foot of the table. However, one cut too much to his playing budget forced him to stand down. The first managerial appointment of sports psychologist, motivational speaker and magician Forzoni saw an array of clipboard jockeys appearing pitchside, watching a talented group of individual players who simply did not play as a team. The experiment was brought to a close when Roberto was asked to disappear following a humiliating defeat at Hythe Town. 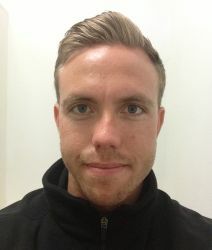 With an impressive playing career behind him Mark began his managerial career at Sussex County league side Haywards Heath, joining Terrors as his first senior appointment. A highly personable and communicative person, Mark was never given the opportunity to established a settled side, despite his obvious abilities as a coach. 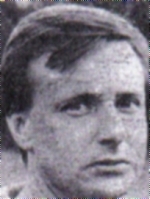 Former Millwall and Falkirk striker, Richard was involved in the youth setup at Millwall before being appointed at Imperial Fields. Always willing to give the youngsters chance his teams produced some exciting performances, but tended to come unstuck against more experienced opponents. After spells at Walton & Hersham and Sutton, Ian played for Terrors before becoming player coach under Keith Boanas. Has subsequently managed several other local senior sides - most regularly Carshalton. A senior figure in Kent county coaching circles, Keith was the man that finally stopped the rot, engineering the clubs first promotion by developing an exciting and settled side - the first seen at Sandy Lane for some years. ladies team and subsequently managed the Estonian Ladies national side where, as of 2015, he remains. Appointed at the end of season 1996/7 Jimmy arrived as player manager. 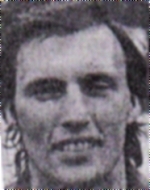 A non-league international who started his playing career with spells at Tottenham and Wimbledon,he was previously with Tooting as a player in 1985 from Farnborough, scoring 15 goals in 34 appearances before returning to Hampshire. Also played for Harrow, Carshalton, Kingstonian and Hendon. Joined from a south east London team, John had previously managed the Tooting reserves. Had the honour of managing the London FA representative team. a memorable goalkeeping cameo against the Pink filth after John Dunne had been dismissed for lamping Charilie Pooley) and then gone on to a successful career in management with Margate and Bromley before returning home. Appointed at the start of 83-84. Ex Cray, Bromley and Dartford boss. 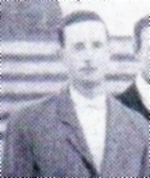 Appointed former Charlton player Colin Powell as his assistant. 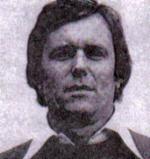 Terry 'Tex' Wiltshire played for Redhill, Epsom, Horsham and Woking before retiring in 1974. After coaching in Washington USA he returned to manage Lewes, Horsham and Dorking before taking over at Sandy Lane. Roy played on the wing and was twice leading scorer for Fulham before transferring to Nottingham Forest and playing against Tooting in our finest hour. Scored for Forest. helping them to win the final that year, but also broke his leg. Internationally he played for England Youth. Went on to play for Gravesend & Northfleet before reuniting with old colleague Jimmy Hill at Coventry. Also played for Millwall and Detroit Cougars. Started his managerial career with Erith and Belvedere, moving on to Dartford and Tilbury after his spell at Sandy Lane. 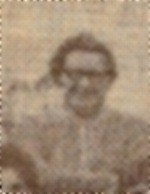 A PE instructor, then manager at Crayford stadium, he died in 2002. Club Coach. 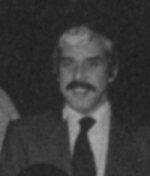 From the start of 63-64 Derek was the first person to assume responsibility for team selection. A former Charlton centre half and Kent count cricketer (wicket keeper), Derek went on to manage Plymouth Argyle.